"Why wear a mask?" I whispered as my fingers brushed the satin garment that revealed only his enigmatic eyes. "No one can find out my real identity," He replied, his gaze pouring into mine, "Anyone could be behind this mask. Besides, it keeps me safe." I held my breath, realizing just what could happen if he left the city. How that would change everything. "Okay," I continued, letting the cool drizzle of the nighttime air soak my skin, "I suppose that's pretty standard... but why not wear a cape? Don't superheroes usually wear capes?" He cracked a boyish grin and took a step away from me, like he'd suddenly inherited a windfall of energy. "Nah. Not unless they want a death wish. Capes are hazardous for your health, Madeline." He looked me directly in the eyes, and I suspected he was about to divulge his best advice so far. 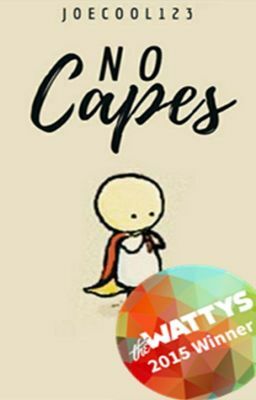 "No capes."